Humanity to Honey Bees or Practical Directions for the Management of Honey Bees by T Nutt, 6th Revised and Enlarged Edition 1845. Condition: Good copy, sound binding, slight wear as expected, otherwise clean throughout. Written before the invention of the moveable frame bee hive, this title is a valuable and fascinating insight into the philosophy and practice of beekeeping at the time. 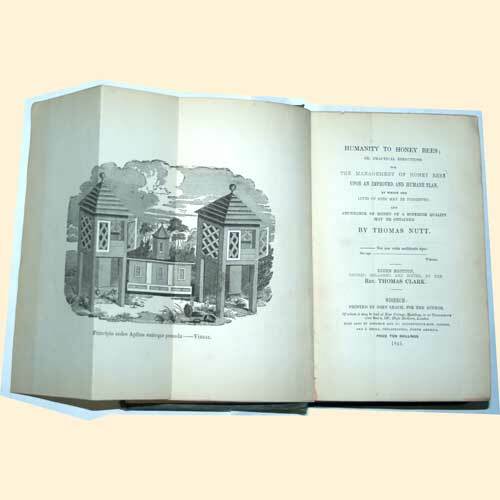 Front and Back Covers ornately embossed showing Nutt's Collateral Bee Hive and Fold Out Frontispiece Plate showing the same. 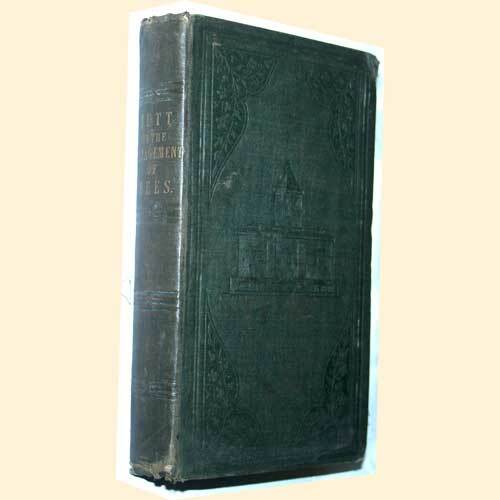 A rare copy of a classic beekeeping title - a must have for the beekeepers library.